No, it isn’t part of any New Year’s resolution; it only happens to coincide with the start of the new year. I’ve smoked for entirely too many years, and have known for a long time that it is an unhealthy, expensive habit that I would eventually need to break. I’ve always been a little worried that quitting smoking would make me overly irritable. I’m one of those temperamental creative types anyway; no need to rock the boat and give myself another excuse to be moody. But, I finally had enough of the “extras” tobacco companies put into cigarettes, and I’m not crazy about the idea of giving more money to the tobacco execs who made so much money by lying to the general public about the health risks of smoking for so many years. Plus, there are so many things about smoking which go against so many of my personal beliefs. Plus, there is the mess that cigarette “butts”, tar, and ashes make. Oh yeah, and there are those pesky health risks. So, one Sunday and on an impulse, I bought one of those “e cigarettes”. It was a cheap one and the only brand available locally, without ordering online and waiting several days for delivery. It isn’t so terrible, but it tastes a lot like one of those fog machines used at concerts, and the battery doesn’t last very long. Fortunately, I also ordered another brand online later the same day, which arrived just a couple of days later. It was a “freebie”– a REAL freebie, not one of those “free but then we enroll you in an expensive club that you can never get out of” freebies. I only had to pay the $1.95 shipping, and there is no club membership required. This one tastes much better, with a longer battery life. In fact, I liked the newer brand so much more that I just ordered more, and now I am not sure why I didn’t try it sooner. Are they any healthier than “real” cigarettes? I really have no idea. The e-cigarettes contain propylene glycol, which is found in many products from food to cosmetics to industrial lubricants. The risks of this chemical seem to vary depending on which website one visits for information. Also, they contain nicotine (unless you order the “no nicotine” package), so they must be kept away from children and pets. But, it can’t be any worse than the additives in traditional cigarettes, which are widely known to be harmful. What I do know is that it is less expensive for me, and less unpleasant for the nonsmokers around me. And, they take the edge off of giving up the traditional cigarettes. Another added benefit: no more disposable lighters! I also know my non-smoking customers will appreciate being able to order original art paintings, without concern that it might arrive smelling of tobacco smoke. But I will wait just a little longer before removing the warning from my website. I’ve been smoking in this studio for a long time, so it will be some time getting the smoke smell out of everything. Who else out there is ready to give up cigarettes? 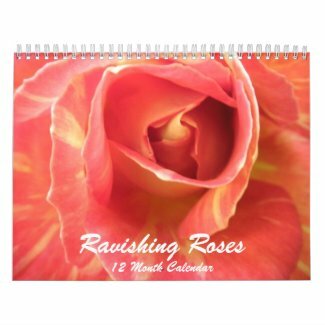 Some of my readers and zazzle followers may have noticed that the prices in the soulbearing zazzle shop did not increase at the end of December as planned.